Abstract: Airwheel H3S smart wheelchair is versatile, as it can be regarded as a commuting vehicle or a shopping helper. With H3S, people can say good bye to traffic jams and crowded buses. No matter what role H3S plays, it will make the travel experience of riders more unforgettable. Opportunities are endless. Reduced mobility can restrict a person's social life as well as limiting their access to shops, leisure and other activities. People fear not being able to look after themselves and being a burden on others. Often a cause of this dependence is a decline in mobility. 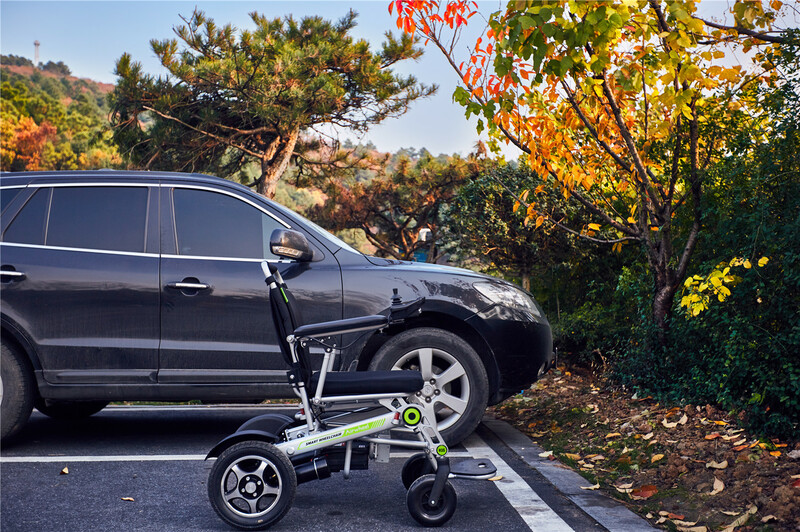 Riding Airwheel H3S folding electric wheelchair make you feel closer to the nature and they can feel the warmth of sunshine and the cool of breeze. More importantly, riders can enjoy freedom and happiness. 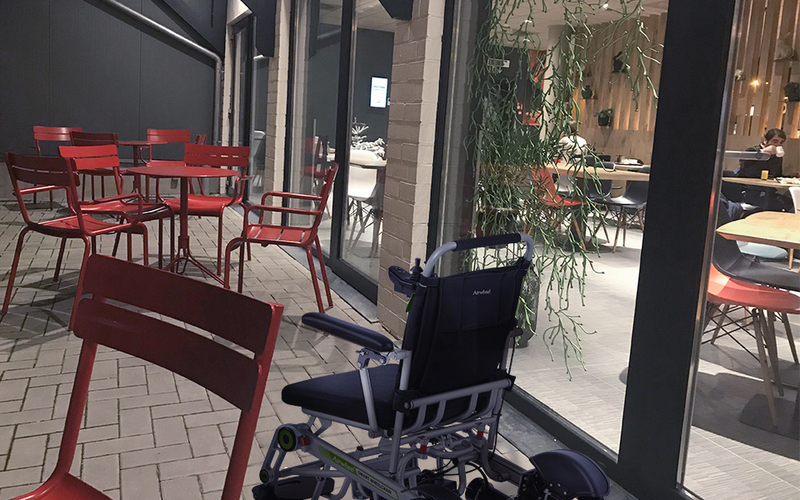 H3S automatic electric wheelchair is also considerately designed with dual ride mode—either stand or sit to ride largely saves riders' energy and gives them a more comfortable riding experience. This improvement is especially good for riders who ride it to go a long distance trip. Also, the pedals are comfortable and antiskid, with three adjustable heights to meet the needs of different users. 8 inch front wheels equipped with independent suspension system, matching the rocker shock absorber system for 12.5 inch rear wheels, which provide the driver comfort, stability and safety. Safety always goes first. Airwheel H3S is coupled with an intelligent control system—joystick controller to realize all operations. Also, the controller is changeable to adapt to different riders' habits. This controller is effective and when rider releases it, H3S handle controlled electric wheelchair will decelerate immediately. H3S also installs headlight under the controller and horn to ensure a smooth riding experience even in light-insufficient environment or in crowd or heavy traffic jam. What is more, its mobile app not only can monitor the security systems in real time, but also allows riders to control H3S remotely in three different ways—single hand, gravity sensing and two hands. Mobility is hugely important in terms of older people being able to remain independence. 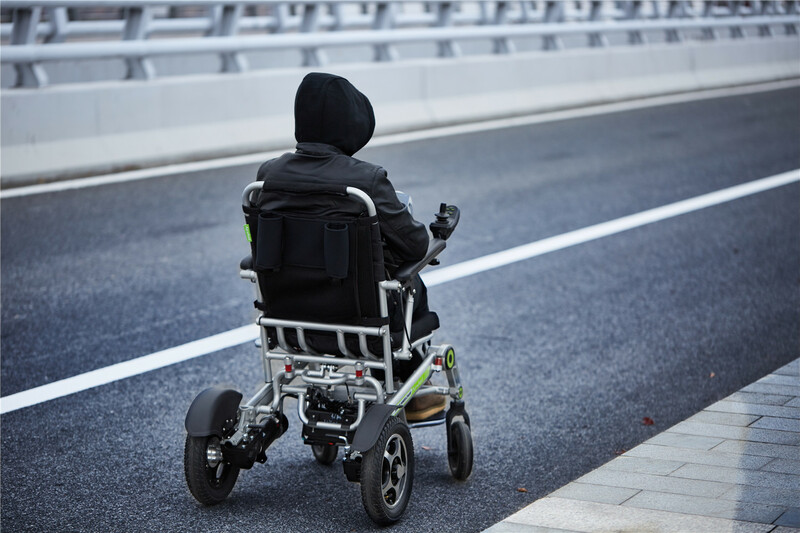 Airwheel H3S smart electric wheelchair provides riders a free intelligent life.